This recipe has been around for a while, but the enthusiastic endorsement from Mike Printy (a good-friend-of-a-good-friend) was the motivation I needed to try it. 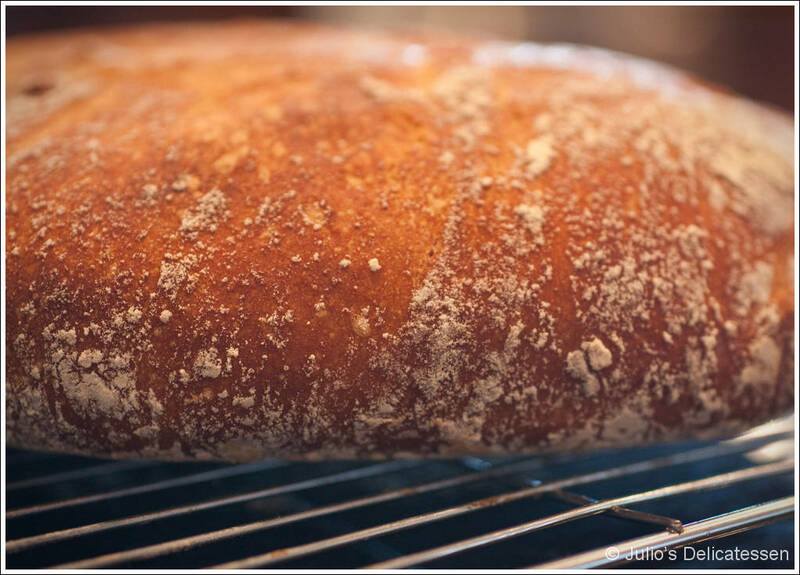 Mike shared with me that he hasn’t bought a loaf of bread in several years thanks to this recipe – it’s that easy and that good. It really couldn’t be any easier; the cumulative time for all of the “active” steps can’t be more than 10 minutes (spread over 22 hours). Next time I make this I’m going to let my 8-year-old do it all herself (except the bit with the 450-degree pot). 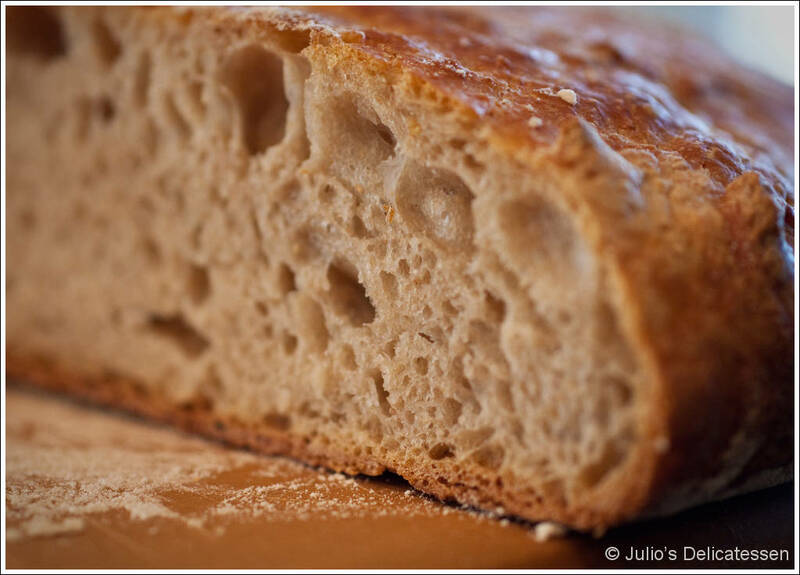 Between 16 and 22 hours before you want the bread to be done – In a large bowl, combine the flour, yeast, and salt. Add the water and stir until everything is blended. The dough will be very sticky. Cover the bowl with plastic wrap and leave it alone (at room temperature) for a minimum of 12 hours, but ideally 18 hours. 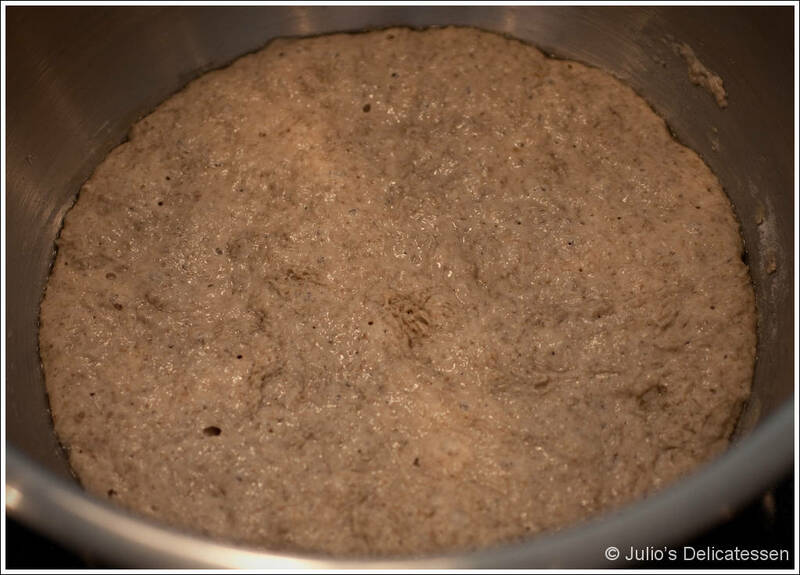 4 hours before you want the bread to be done – The surface of the dough should have some bubbles visible. Lightly flour a work surface. 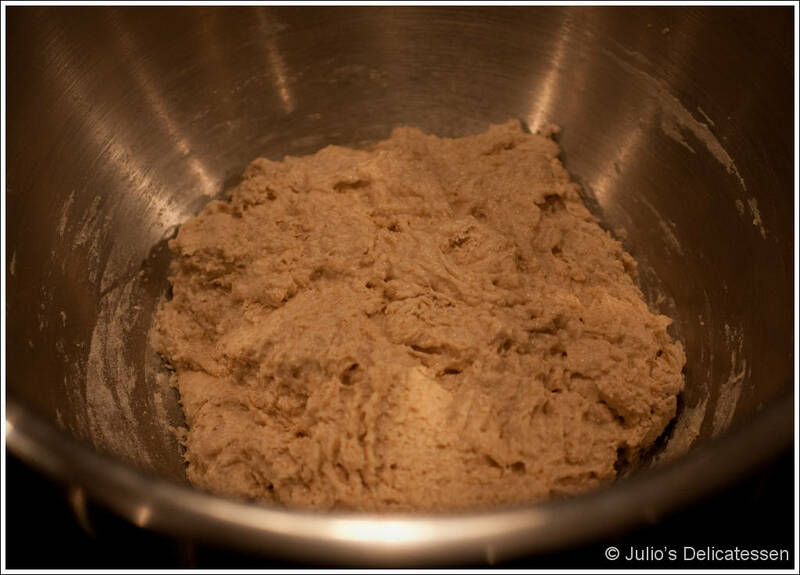 Turn the dough out of the bowl onto the work surface. Sprinkle some more flour on top of the dough. Form into a boule. Place on a well-floured cotton towel, seam side down. Cover with another cotton towel and allow to rise another 2 hours. 1 hour and 50 minutes before you want the bread to be done – Heat oven to 450 degrees. Put a heavy covered pot (think 8-qt Dutch Oven or equivalent) into the oven to get hot as the oven heats-up. It should be in the oven at least 30 minutes. 1 hour and 20 minutes before you want the bread to be done – Carefully remove the pot from the oven. Turn the dough from the towel into the heated pot, seam side up. Add the lid and return to the oven. Bake for 30 minutes with the lid. 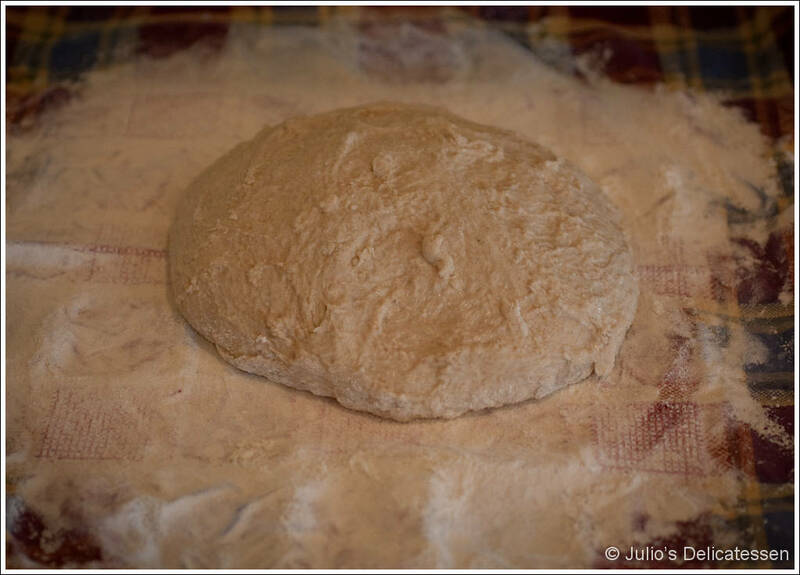 50 minutes before you want the bread to be done – Remove the lid. Bake another 15 – 30 minutes. Loaf should be fully browned. 20 minutes before you want the bread to be done – Remove pot from oven, remove bread from pot, and place on a cooling rack for 20 minutes. I’ve never heard of this before. It looks good and very easy. My kind of baking! Thanks for the post. Cook’s Illustrated has a tweaked version with surprise ingredients (a little beer) and a tiny bit of kneading. When I told Mike Printy that I make that version, he was not impressed. But I find that one to be consistently good– and Cook’s Illustrated reports that this one is a little less reliable.